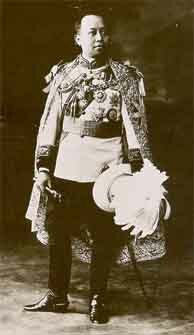 On March 26, 1917, H.M. King Vajiravudh had the Civil Service College elevated to the status of a university and named it after his father, Chulalongkorn. In the subsequent year, H.R.H. 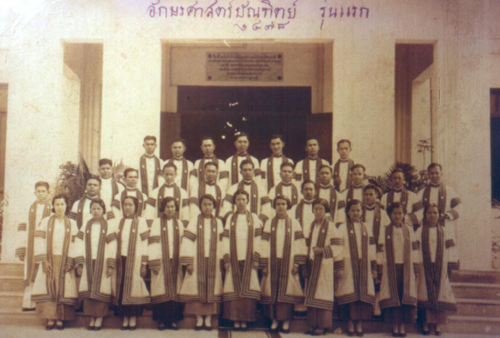 the Prince Rangsit of Chainad, who was the first Director-General of the University Affairs Department in the Ministry of Education, established the Faculty of Arts and Science together with other faculties in the University, namely, Engineering, Medicine and Political Science. During its initial stages, the Faculty of Arts and Science placed emphasis on the instruction of courses related to Pre-Medicine—Chemistry, Biology and Physics and students could also take classes in English, French and History. In 1928, it offered a three-year program to grant a secondary-school teaching certificate. 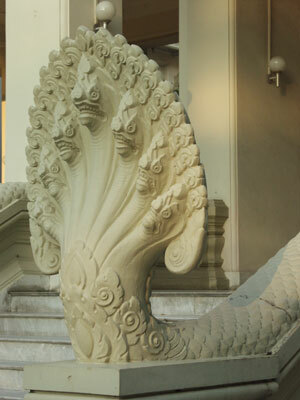 During the first two years, students in the program had to take classes required for graduation from the Faculty of Arts; these included Thai, Pali, English, French, History, Dhammavipak and Mathematics. Later, German was added to the program. In their third year, they had to fulfill requirements in pedagogy. In 1930, a three-year program in Science was launched. Students were made to take courses in Science during their first two years and complete the requirements in pedagogy in the third year before they could be granted with a certificate. 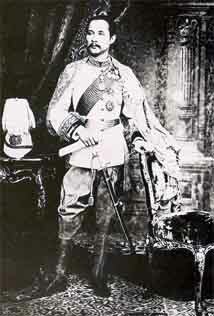 By royal decree, the Faculty of Arts and Science was divided in 1933. The Faculty of Arts was then sub- divided into the Division of Arts and the Division of Teachers’ Training. In the same way, the Faculty of Science was sub- divided into the Division of Science and the Division of Teachers’ Training. 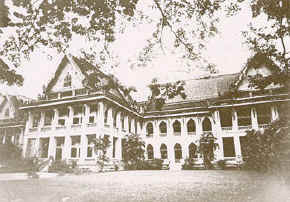 However, within the same year, the two faculties were merged once again and its structure was separated into nine divisions, namely, the Documentation Division and Library, Chemistry, Physics, Biology, Mathematics, Thai and the Oriental Languages, Modern Languages, Geography and History and Teachers’ Training. The program was further developed to offer a Bachelor’s degree in 1934. The number in the first batch of graduates from the Faculty of Arts was 33. Subsequently, a Master’s degree program was established in 1942 and two students graduated with an M.A. in 1944. In 1943, the Faculty of Arts and Science was divided but continued to be under the administration of the same dean. In 1948, the Faculty of Arts had its name changed to the Faculty of Arts and Education and, in addition to a Bachelor’s degree in Arts, it offered a Bachelor’s degree in Education. During this time it consisted of four divisions—Thai and the Oriental Languages, Foreign Languages, Geography and History and Education. In 1950, the Faculty of Arts was entirely separated from the Faculty of Science and its administration was undertaken by its own staff. In 1955, the Division of Library Science was established in the Faculty of Arts. Two years later, the Division of Education was promoted to become the Faculty of Education. In 1961, the Faculty of Arts was restructured and separated into six divisions: Thai, Eastern Languages, English, Western Languages, Geography and History and Library Science. Two divisions –Philosophy and Dramatic Arts, were founded in 1971 and 1975 respectively. In 1975, Geography was separated from History. All divisions were later changed to the departmental status. At present, the Faculty of Arts consists of eleven departments, namely, Thai, English, History, Geography, Library Science, Philosophy, Dramatic Arts, Eastern Languages, Western Languages, Linguistics and Comparative Literature.